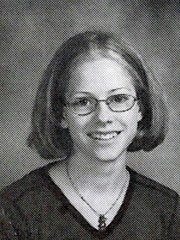 No Comments, Avril Lavigne Photos, by sms4send. Though in her early days she made headlines for her verbal clashes with pop’s Hilary Duff andBritney Spears, the petite singer refined her image by donning Chanel couture and appearing in fashion spreads for Harper’s Bazaar. The Canadian beauty even donned a custom-made ivory Vera Wang gown for her July 2006 wedding to Sum 41 frontman Deryck Whibley. But after three years of marriage, the singer filed for divorce from her husband. Lavigne teaches herself to play the guitar and begins to showcase her powerful voice at local festivals, country fairs and even a Canadian Tire celebration. Her first manager, Cliff Fabri, discovers her two years later at age 14 singing in a bookstore. L.A. Reid, head of Arista Records, signs Lavigne to a $1.25 million contract when she is 16. She drops out of high school and moves to New York to record her first album. Arista provides her with country music to record, but after six months of working with cowriters, it becomes obvious that the singer is more interested in rock. The young singer-songwriter soon ditches the setup and moves to L.A. 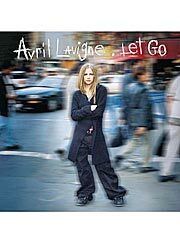 Dressed in skater pants, Lavigne appears on the cover of her debut album, Let Go, which sells more than 13 million copies worldwide. Thanks to the singles “Complicated” and “Sk8er Boi,” the album becomes the third biggest-selling album of 2002, and Lavigneearns five Grammy nods.